Ok y'all, I am not feeling spring at the moment. It's exactly 3 am and I'm coming to you live from underneath a blanket, my home for all of this weekend. Dang pollen! But the idea of spring--the colors and the newness, I am most certainly all about. $59, which is ridiculous, but look how many shades you get and how pretty it is!! $40--Tarte, you get me with that packaging every time. The middle shade is a highlight for cheeks or ryes. $35, I included this one for the K-beauty fans out there! $45, Now y'all know it's not an ElleSees post without a highlighter in it!! And because I want a glow pretty much any time of year. I can't wait to swatch these next month when it hits stores. $59--a gorgeous mix of shimmer neutrals and the pigmentation is so good. I don't think I own any NARS shadows, just blushes, but this makes me want to see what the fuss is about. $12--FINALLY an affordable palette on here, right? Now we're talking. Each of these shades has golden shimmer built right in, so I this as a complement to any regular neutral palette. $10--Remember the NYX Lip Lingerie line that came out last year? Here's the lid version--I think it's clever and for $10, you can't bear it! 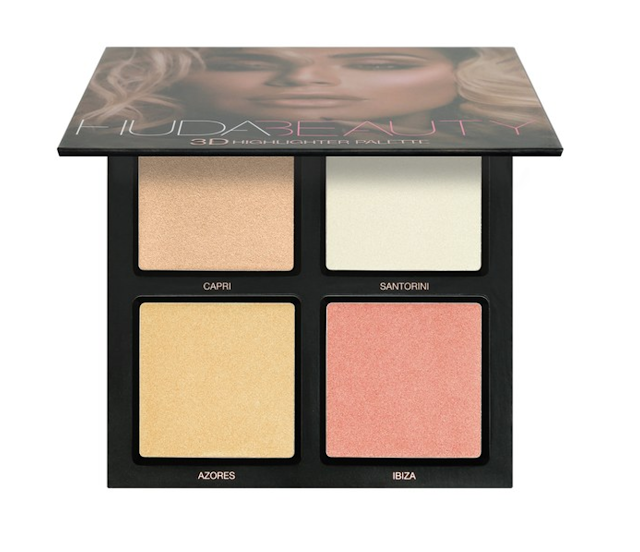 The top middle shade could be used for a contour maybe? Pretty much slept all weekend with this cold(?) that I picked up from the kids at work. I didn't do much of anything. I hope you had a great one! I hope you are feeling better soon! Spring colds are brutal and the pollen is no joke! We are allergic to pretty much everything this time of year, so we stay inside most of the time. Feel better soon! Hope you get to feeling better! I've had my eye on that Too Faced palette! Ps I love NARS shadows! I'm sorry that your sick - that really stinks and I hope you start feeling better really soon. That NARS palette is definitely on my "to try" list this spring - a friend got one recently and has been raving about it. I love the look of the Tarte palette! Get well soon, Elle! Hugs! 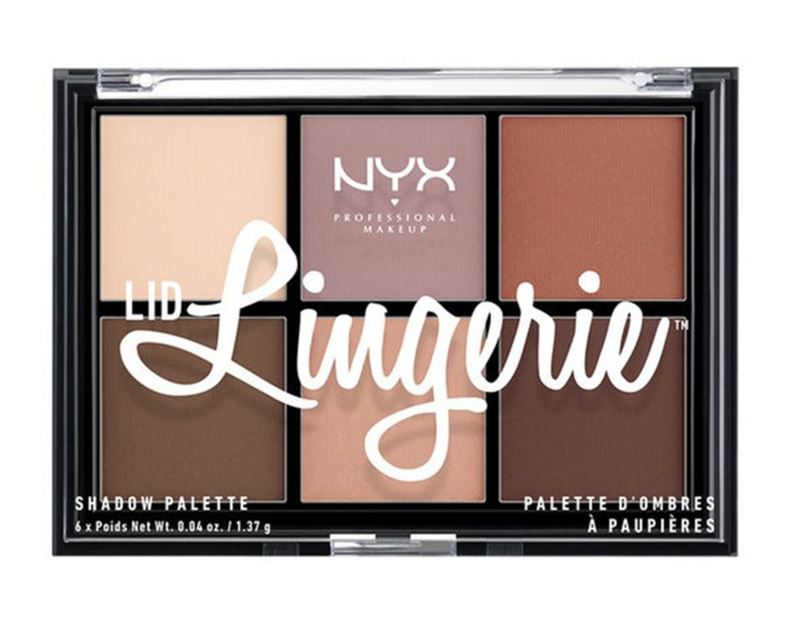 I don't own any Nars eyeshadows either so that's the one I am most tempted by and yes to NYX Lingerie eyeshadow palette, will totally buy that! The Nars palette is so pretty! Hope you are feeling better! Get well soon Elle! The first two palettes are on my wishlist! 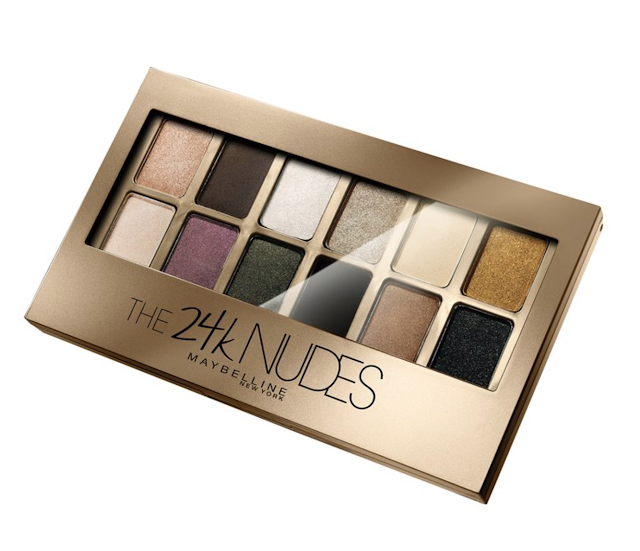 I have the Maybelline 24k Nudes Palette and I love it! 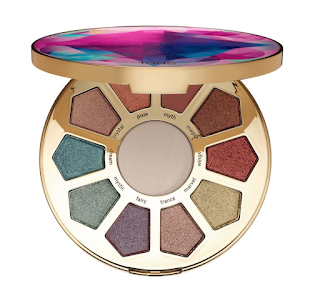 That Too Faced one is way out of my budget, but the colors are just gorgeous! I love the Maybelline one too! I’m so sorry to hear that you are sick Elle. I hope you get better soon. I’m loving all of these Palette especially the 24K Nudes by Maybelline. I have that Maybelline palette and it's quite fab! Take care and feel better soon Elle! That Too Faced Palette looks beautiful! I definitely need to check it out! The Too Faced palette is so pretty! I was sick all weekend and I am today too. I got nothing on my to do list done. I hope you will start feeling better soon! 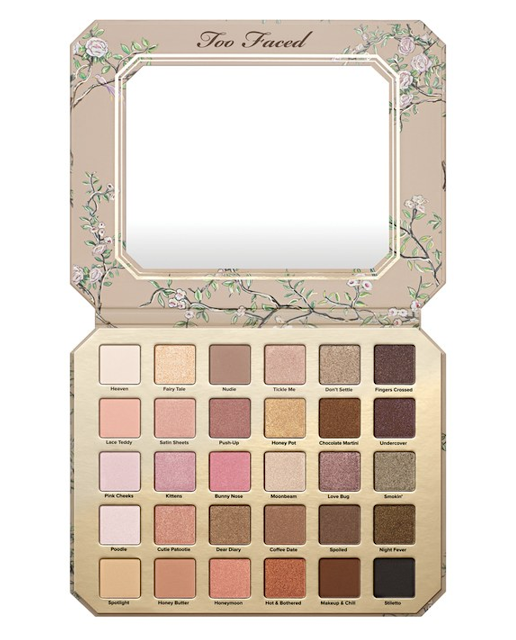 The Too Faced palette interests me the most at first but I heard there are a bunch of colors from other palettes in there. I already have had many many TF palettes so I'm going to pass on this one. 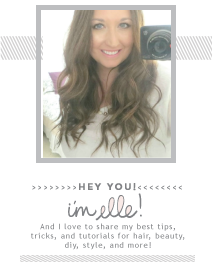 Tarte Make Believe in Yourself Eye & Cheek Palette look like alot of fun. 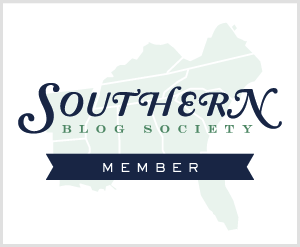 Bless your heart. I hate you're feeling bad again. The germs this year has been HORRIDDDDDDD. I love any sort of neutral pallete. The ones like the one with the green, I dont get. Whose really going to wear that color down? ...I guess someone can. not me. That NARS packaging! I totally went heart-eyed for it! oooh i love too faced shadows. that's not too bad considering how many you get! hope you feel better soon. I've had my eye on that tarte palette, but I'm trying to resist. lol I hope you feel better, Elle! That Too Faced and Tarte palette are speaking to me!! So is the NARS palette! I have a NARS shadow duo and I love it, but I don't think it's work $35 and there are way better shadows out there. I wonder if their palettes are better! Since I love NARS, I still always want their palettes. I hope you feel better soon, Elle! Aww hope you're feeling a little better and have taken some meds to get you feeling good again! The Too Faced Palette looks gorgeous with so many color options. I don't find $59 is to ridiculous for so many colors even though I wouldn't use the darker shades...the more neutral shades looks like a nice mix of colors. OMG I seriously want all of these! So gorgeous! The colors are so pretty! That NARS palette has the most gorgeous colors! I loved the palettes, but like you said, it wouldn't be your post without a highlighter palette... I so want that Huda 3d palette! I love highlighterss and I am looking for a good one for ages (till now, nothing really please me :) So bad to be in bed sick, I really hope you get better soon! I hope you feel better soon, Elle!! Ugh!! But there's nothing like a little makeup to make us feel better, right? Oh man, Christopher has terrible spring allergies too. I hope you are feeling better SOON! The Tarte Make Believe in Yourself Eye & Cheek Palette is beautiful! Hope you are feeling better! I've actually never heard of pony effect-- huh. Maybe because I'm a real drugstore person, and stick to cheap places, like nature republic. 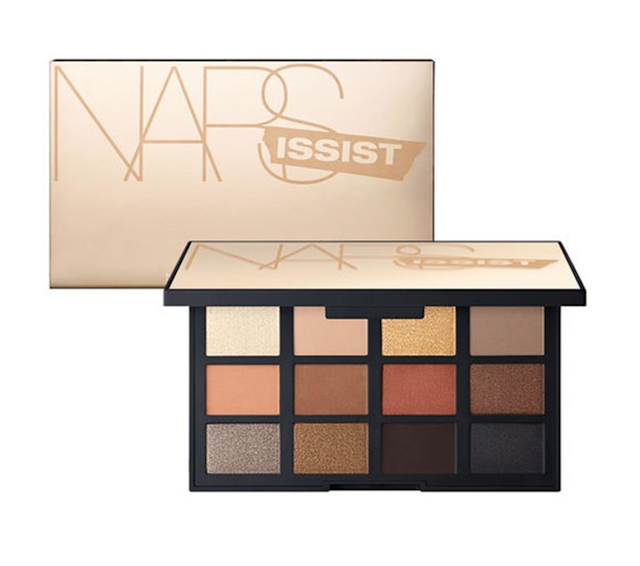 That Nars palette though-- omg, its gorgeous!!! And its just the shades that I love using on myself! But in all honesty, I would probably go out and buy the meybelline one. Because yah. 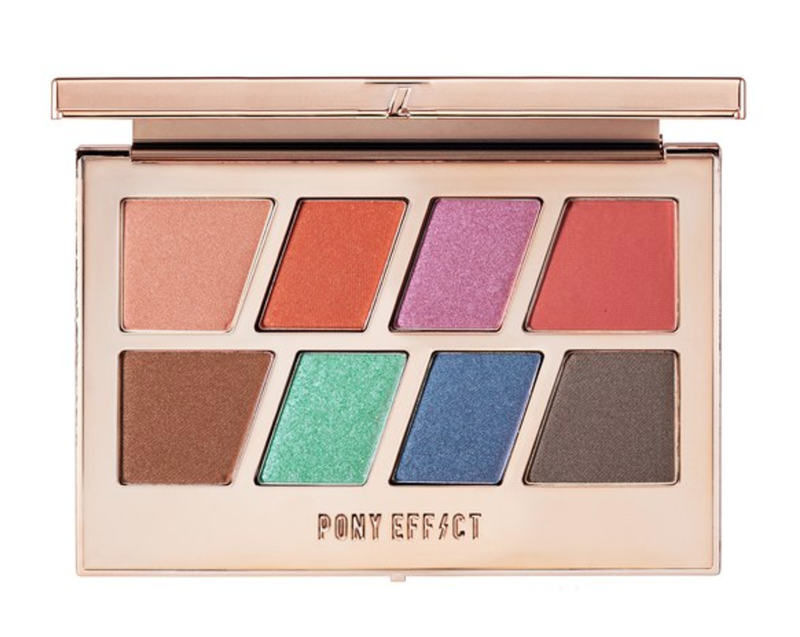 I really need to get my hands on that Pony Effect palette! And hope you feel better soon, Elle! omg i need that two faced pallete! xO! That Too Faced palette has left me swooning... Love all the colors and totally my kind of colors!